Welcome To Murray & Sons Inc! At Murray & Sons Inc we host a wide selection of high-end used trucks and SUVs for sale that come with great prices! Our vehicles come in a variety of years, models, brands and more! We encourage you to come out and visit our store today and drive away in the right truck or SUV for you! Call Us Today At (870) 239-4057! 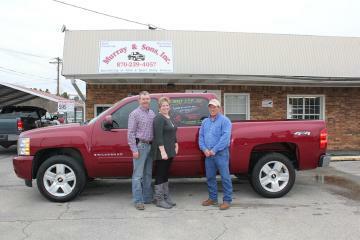 At Murray & Sons Inc our goal is to ensure that you have an easy, stress-free truck or suv buying experience. With an impressive inventory of pre-owned vehicles, we're confident you will find exactly what you are looking for. Not to mention, we get more vehicles everyday! So stop by our store location and take a look at what we have to offer! Bank Financing & Warranties Available!